Director Howard J Ford on his new action thriller. In the tradition of Taken comes the thrilling Never Let Go, on DVD and VOD this August from Sony Pictures Home Entertainment. Directed by acclaimed filmmaker Howard J. Ford (The Dead, The Dead 2: India), Never Let Go boasts an impressive supporting cast including BAFTA award winning and twice Emmy nominated Lisa Eichhorn (About Time, The Talented Mr. Ripley), Velibor Topic (Kingsman: The Secret Service), Nigel Whitmey (London Has Fallen, Saving Private Ryan) and Rami Nasr (upcoming Murder on the Orient Express, TV’s The Night Manager). 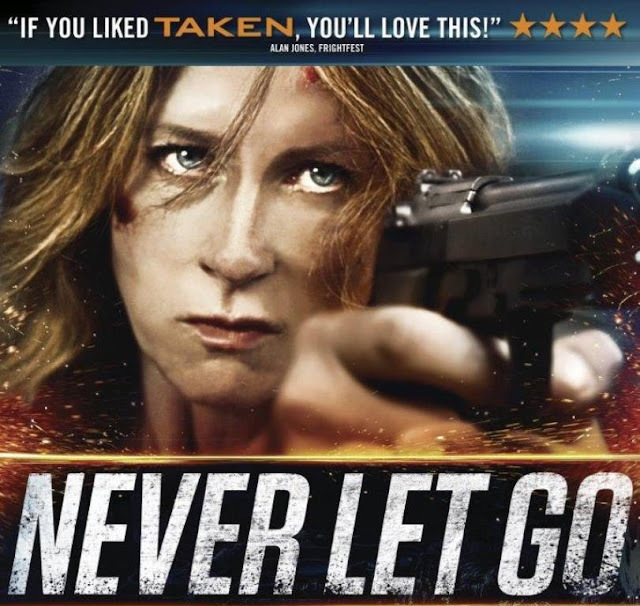 The multi-award winning Never Let Go is available on DVD and VOD now. Do you recall when you sat down to write the film? How did it come about? I absolutely do! It was shortly after I nearly lost my own young son whilst I was on vacation. I thought he had been abducted from the busy bustling resort and whilst frantically looking all over for him - checking the exits etc. Then by chance I discovered he was actually at the bottom of the pool drowning. I very nearly lost him and was so shaken by the experience that I literally couldn't write anything else. Did you sit down and watch a bunch of similar themed movies as inspiration before or during the script-writing process? I literally did the opposite and avoided any films or TV that had similar themes or plotlines. I wanted to avoid taking on anything subconsciously and adding it in. I knew I could not compete with films like Taken with the budget I was going to have to make it on, so I wanted to approach it differently. It's amazing now to me that I hear people saying it's Homeland meets Taken; it's not of course but it's nice to hear! I only went through three drafts. I was so keen to get to production to kind of 'exorcise' the angst I had regarding my own child that I just wanted to get it done. Funnily enough, one of the major twists revealed itself to me just as I was finishing the third draft. Even I was surprised! What did you lose along the way? Not having a huge budget meant there was a lot I couldn't do on location. The car chase for example, on paper was far more involved with our main character ploughing through all sorts of market stalls and other things during her plight but there was simply not the money to construct these things. That didn't worry me too much as I was more interested in the psychological aspects of Never Let Go, but at times when I had scenes that needed hundreds of extras and I was only allowed say three. Or on a couple of occasions one, like in the scene where Angela kicks one of the 'kidnappers' under a truck, which is meant to happen in a crowded place with lots of witnesses to the 'attack' I found compromises like that very hard to bear. Did you write with a budget in mind - and therefore tried not to write in ‘too many’ huge explosions and costly stunts? Yes, I did try and write as much as I could in this way, but then sometimes when you write the words just fall out and you kind of have to go with it. Then see what you can pull off in reality. I knew I would have to have a small crew so in addition to writing and directing, I also camera operated, Steadicam operated, focus pulled and edited the film. That on top of producing was an amount of hats I never want to wear again! How much of the movie simply happened ‘on the set’? If you ask me not enough of it! In a way I felt I got 60-65% of what I wanted and although I was happy with the acting side, I was constantly frustrated that it might not be enough. But after all these frustrations we then got voted best independent film of 2016, beating multi Oscar nominated Carol and Sean Penn's The Gunman to the title. Not quite sure how that happened but it was a lovely moment! How did you decide on your cast? Angela Dixon was the only actress I knew that had the talent and physical ability and was in the age group I wanted. I had met her a few years before and kept her in mind for a role. Then when the incident with my son happened, she sprang straight to mind. Now since Never Let Go has come out her performance has been called 'Oscar Worthy' and 'The most important female role of the cinematic year' - she deserves all of this praise and what you get with Angela when you watch Never Let Go is a character, not a celebrity, so I hope that adds to its realism. Is a movie like this only as good as its villain? Do you believe an interesting bad guy is as important as a compelling hero? I truly believe a sympathetic hero (or heroine) is the most important, which is hard to do when you want your main character to be flawed, which in this case I did, but I hope you can relate to her and her plight. Having said that, I love what Velibor Topic brings to Never Let Go. He has done massive movies with Ridley Scott directing and is actually a huge, physically intimidating guy in real life, but also very charismatic with an amazing voice too. He was perfect for the role and I hope people like to hate him in the film. Tell us what makes your bad guy tick. Money! And the seething frustration that he was not loved enough by his mother so how dare these other children receive a life of love that he never did. You can always trace it back right?! How much was Taken an influence? I hope as little as possible. But I do love Taken as a film and Liam Neeson oozes brilliance in every shot. When the film was released theatrically in the Philippines, they had posters on the side of buildings that read 'Move over Liam Neeson, this time they've taken from the wrong mother' and I woke one morning to these images of posters online and was like WTF? Liam is going to kill me. We had nothing to do with that! I would like to think though, that the world is ready for a female to take the reigns in this department, after all, women carry the child inside them for nine months and painfully give birth to them before the cord is cut. That motherly instinct just had to be explored and I do believe there is a lot more to it than just a 'female spin on Taken', but I have to leave it for you to decide and I thank everyone who watches Never Let Go!